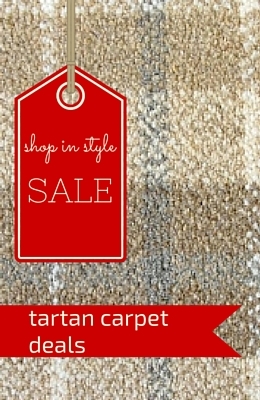 FloorDesigns is the number one supplier of luxury carpets and flooring around Central Scotland – from Glasgow to Edinburgh, as well as Cumbernauld, Falkirk, Stirling, Perthshire and Fife. We’re the specialists, offering great advice, explaining all the benefits and giving you the best options for your budget. Our installers are second to none and both they and we just love carpets and floors! Your bedroom is your sanctuary, a place to retreat and relax at the end of the day. Your master bedroom should be your feel-good space. But let’s be honest, because it is a private and not a public space, it’s often the last place we update and decorate. For many of us, the first thing we do when we get round to updating our bedroom is to get a soft neutral coloured carpet on the floor to match the magnolia walls. But stop! There’s more to a master bedroom than beige. It might go with anything, but there are now a whole new range of options for your floor that can add glamour, sophistication, comfort or whatever you want into this most sensual of rooms. OK, we live in Britain. It’s cold and damp for a fair amount of the time. So the last thing we want in the morning is to step out of bed onto a cold hard floor. The chances are that tiles are probably not going to be amongst the options you are considering. But that doesn’t mean that a plush carpet is your only option. 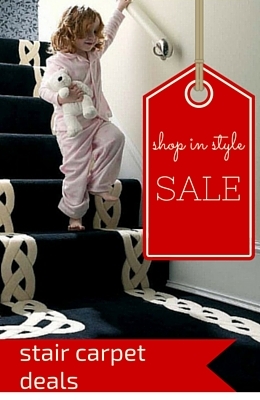 Mix hardwood flooring with fabulously plush rugs to add a touch of class and drama to your room. If your bedroom has original floorboards in good condition, so much the better. 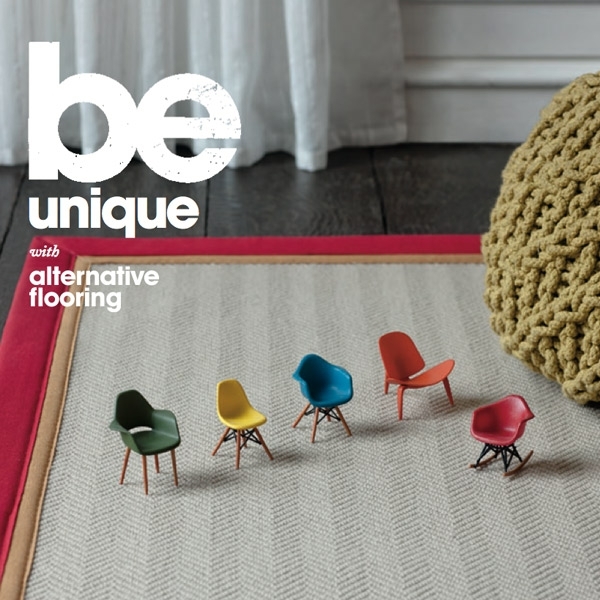 Alternative Flooring offers an amazingly original range of rug designs – from the rustic to the zany – and now even gives you the option of designing your own rug using an online design tool. And you don’t have to just go with a rug that has a traditional plush carpet feel to add a bit of warmth to your room – think animal print, velvety silk, weaves or textured finishes. All of them can add a touch of luxury or make a real statement without limiting the design options elsewhere in your bedroom. If you want the look of a wood or stone floor but without the cold feel, then luxury vinyl tiles (LVT) offer an incredible, authentic looking alternative. You can create that designer look of sleek wood or stone but with all the warmth and comfort of vinyl. 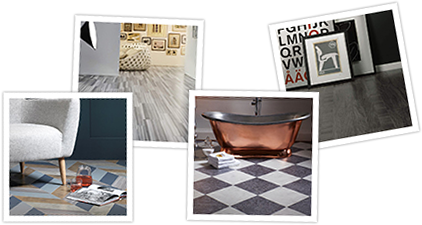 With top end, luxury UK LVT brands such as Amtico and Karndean now joined by international giants such as Moduleo, there are amazing design options on offer. From authentic natural finishes to gorgeous abstract designs, there really has never been a better time to consider using this type of flooring. OK, we’ve said it before, but really, there are so many more options out there than just beige! 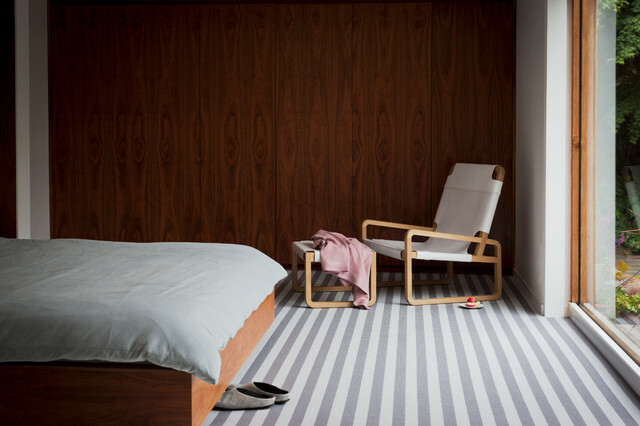 A subtle striped design in natural tones can make your room look bigger and bring it bang up to date. Or you can go for a more adventurous colour palate to add a bit of drama into your room. With less wear and tear than other rooms in the house, you really can indulge in a plush, thick pile carpet that will be a dream to walk on. The Westex Westend Velvet range is as soft and smooth to walk on as it sounds. But there are many other options out there too. 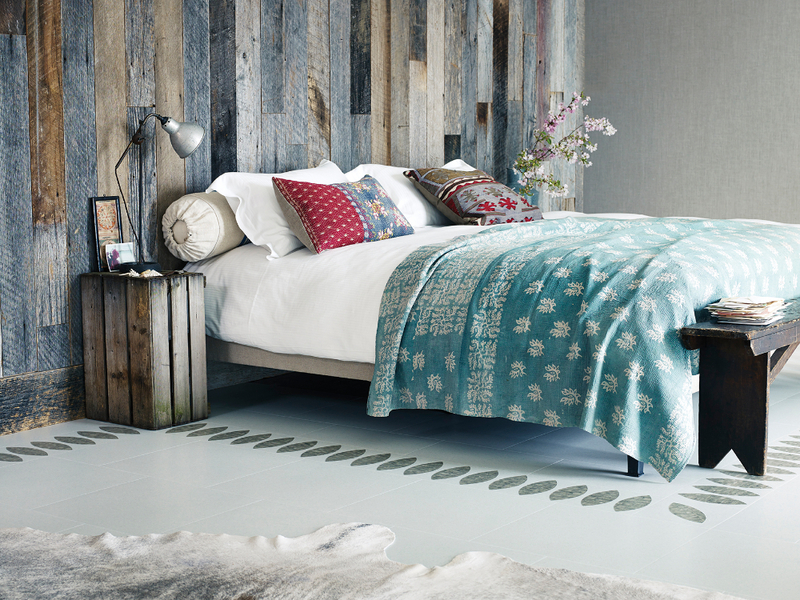 So indulge your feet and find the flooring that you want for your bedroom!